After the 70 years desolation had terminated when they cleansed the temple and reinstituted the sacrifice, 70 years as foretold by Jeremiah had passed. And prophecy was fulfilled. 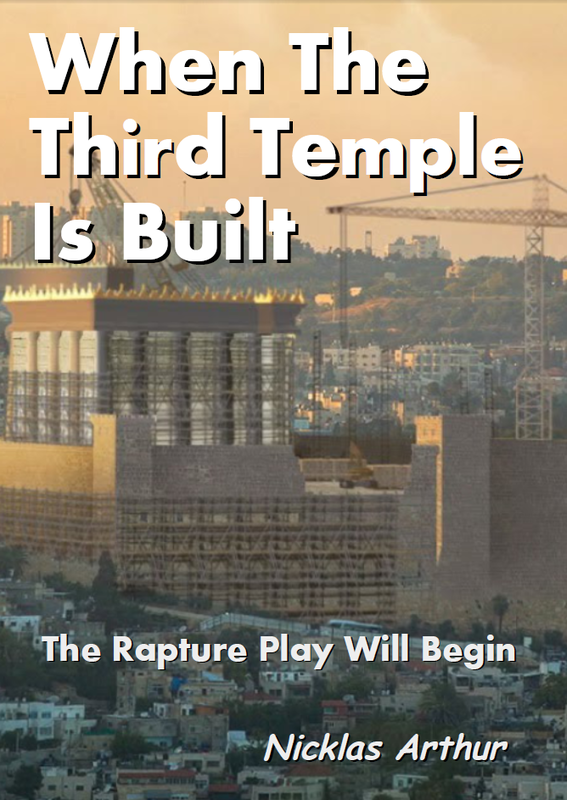 We see a pattern here: prophecy given, the time period of 70 years pass and then the temple is rebuilt and there’s the cleansing of the temple, and they’ve reinstituted the sacrifice. This works pretty good! God gives us a prophecy he fulfills it in the timeframe that he said he would. So they have the Daniel 70 Weeks Prophecy and finally here it comes: the commandment to restore and rebuild Jerusalem unto messiah the prince, 58 years later: and they’re thinking, okay 490 days from now the Messiah will show up. So they wait 490 days and nothing happens – there’s no Messiah. Likely some guys were looking for the Messiah, there may have even been some pretenders then as there where in the first century. But it obviously did not happen in a literal 490 days. So they probably forgot about it: what would you do if it didn’t happen in the four hundred ninety days? Maybe you would think, perhaps this is a longer period of time. Look back here in Genesis and we see that it’s not a prophecy scripture, but we see a scripture where a week is determined as seven years. So maybe there’s some indication here that these weeks may be weeks of years. Okay so we have 483 years, that’s what it must be, know therefore and understand that from the going forth of the commandment to restore and rebuild and to build Jerusalem unto Messiah shall be seven weeks and threescore and two weeks. That’s 69 of the seventy weeks of the entire prophecy unto messiah the prince. So he obviously didn’t show up in the literal 490 days. There’s nothing in the text of the Daniel 70 weeks prophecy to tell us that it will be years. We have one indication from an unrelated, not prophetical, scripture that tells us that a week can be interpreted as seven years. So maybe it is 490 years. So we fast forward now: it’s not 483 years yet, but let’s say it’s 482 years, the 69 weeks of years are about to be fulfilled. And say you’re looking for the Messiah, you’re like Andrew and those sons of Zebedee, they were looking for the Messiah and one finds Jesus. Okay, its the 483rd year, you know it’s near, you don’t know what day he is going to show up because the text only states how many years. So these boys are looking for the Messiah and of course they’re interested in John the Baptist; he might be the Messiah! So they go to him, and John the Baptist says, I’m not him, I’m not worthy to unlatch his sandal, the one coming after me. Then Jesus shows up and John says, behold the Lamb of God who takes away the sins of the world, and you see the sign, the dove descending when he is anointed, and the Father speaks! So we have several witnesses that he is the Messiah and not only that, Luke records that he began to be thirty years old, so he qualifies to fill the position of a high priest, because he could not be the Messiah in function until he was of age to fill the position of a high priest. I believe that’s exactly why it’s recorded by Luke us for us that Jesus began to be about thirty years old. So we all know and even the Futurist believes that the Daniel seventy weeks are years and not days because history has proven it. Because, guess what happened, Jesus showed up on the scene 483 years after the decree to restore and rebuild Jerusalem. So we know because history has verified the interpretation. No speculation is necessary because historicism has little to do with speculation. Now this man who’s doing the series on the Error Of Historicism has been attacking, he says that historicism leads to error because the Seventh Day Adventists speculated that Jesus would return after 2300 years from the 2300 days prophecy, therefore historicism is bad! But see that’s the problem, the Seventh Day Adventists violated the very tenet of historicism by speculating, and when they were wrong we have in history, The Great Disappointment of 1844, then they said, well we weren’t wrong it was twenty three hundred years which ended in 1844 but we just had the wrong event – the right event was the cleansing of the temple in heaven and so they developed their whole heretical doctrine which I call the transubstantiation of the SDA Church, The Investigative Judgment. But that’s speculation too, and violates the very tenant of historicism, that history verifies our interpretation. We have many prophecies in the Old Testament which have been fulfilled in the New. In Genesis chapter 3 about verse 16, the seed of the woman prophecy, when reading it then, it would make little sense, but now we all understand because we see that the seed of the woman prophecy was fulfilled in Christ, and we understand why, because he had to be a new seed, a seed created by the Holy Spirit in the virgin woman, because the sin nature is carried through the seed of the man and not through the seed of the woman. Therefore Christ could be our kinsman redeemer, without the stain of original sin. So it makes perfect sense to us now. Prophecy given, prophecy fulfilled and verified in history. This is the very core, the very foundation of the historicist method of interpretation. 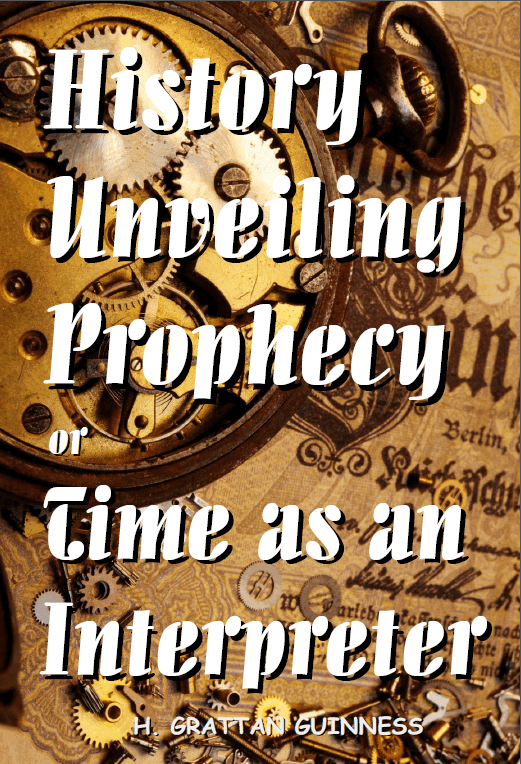 The foundation of the historicist method of interpretation is not the day year interpretation; it’s like the Daniel 70 weeks prophecy, because it wasn’t fulfilled in literal days we know that the day day interpretation is not the correct one. Because it was fulfilled in 490 years (of which the futurists only agree to the 483 years but that’s a different topic which we’ve discussed many times). But all agree that the 490 days of the 70 weeks prophecy was verified and fulfilled in history so that we understand that it’s years and not days, and that’s how we apply the day year interpretation the same way the futurists apply it. So even our antagonist is guilty of what he labels The Error of Historicism. 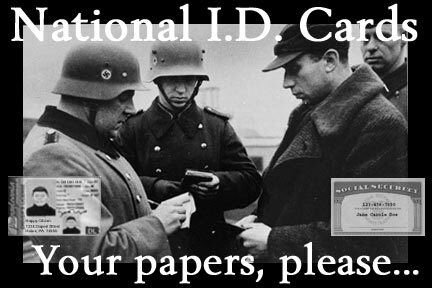 It’s not an error to apply the day year interpretation where we have it verified in history. Historicists do not rely on speculation. We all speculate to some degree but it’s not verified until it happens in history, so speculation is only a very small part of historicism. Now I know that I speculate that Christ will come back for the seventh millennium, and you know it is a speculation, if the scripture says that something’s going to happen that hasn’t happened yet, for me to speculate that it will happen at a time that is not explicitly stated. So the speculation comes as to exactly how or when it will happen. 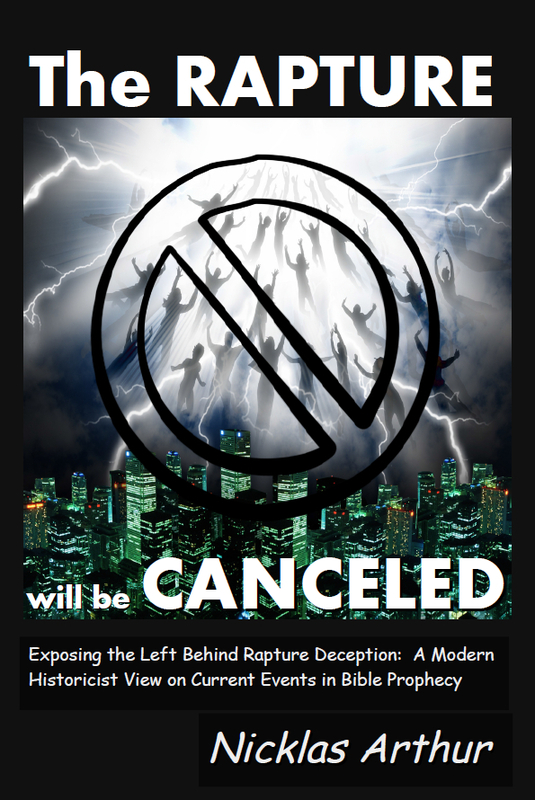 We have the Antichrist Church and all of the Reformed A-Millennials who don’t believe that Christ will literally return to set up his kingdom for a literal thousand years: so which speculation is correct the one? One says that Christ will return bodily and physically set up his kingdom on the earth for the last millennium, the Sabbath millennium, which is coming up in less than 40 years. Then there are the ones who say that Christ is going to rule through his church for the millennium which may be figurative for an undetermined period (the Pope loves that one because he’s the head honcho of course). But I think it’s been demonstrated clearly throughout history that the government of men, even the best of men, the most well-intentioned men of history, will always eventually fail because of temptation and the corruption that money and power brings. That we’re only going to have a millennial reign of Christ, if Christ actually physically returns and is at the head of that government rather than men who are corrupted by the stain of original sin (that’s me and you), even the best men of God’s Kingdom on earth that are sons and daughters of Adam, will always fail, as clearly demonstrated over and over. 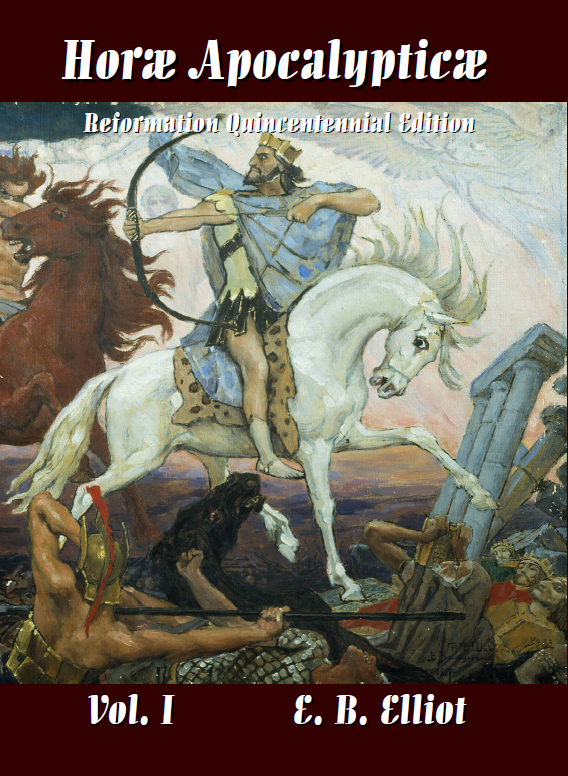 So I feel pretty confident in my position, that of being a Pre-millennial Historicist, so that Christ will return physically, bodily, and literally to set up his kingdom on the earth and to rule and reign for a thousand years with His resurrected saints who cannot be corrupted. More on this later. Let’s talk a little more about the Daniel 70 weeks and how it is a day year interpretation and how we know it’s entirely fulfilled and verified. Now the Futurist have a real problem because they accept that the first 483 years or 69 weeks are actually fulfilled in history, although they don’t know whether it terminated when Jesus showed up at the at the Jordan River baptism, which I believe it did, I believe it’s clear from the scripture itself as I’ve indicated many times here. But most of the futurists say that it terminated when Jesus was riding into Jerusalem on a donkey! But that that would be wrong because that would be the midst of the week when he put an end to the sacrifice and oblation, by the sacrifice of himself, coincidently three and a half years after he showed up for the Jordon River baptism. I know that the entire seventy weeks are fulfilled because I have evidence, I have scriptural evidence, that it was fulfilled in history. Now scriptural evidence is the best evidence as far as I’m concerned. God’s Word – and if you’re a true Bible believer then you have to agree with me, if you don’t agree with me on this statement then you have no part in this argument – if you do not believe that God’s Word is authoritative. Primarily, God’s book, the Bible is a book of history. Just open it up to Genesis and what does it say? It says, “In the beginning…” and we have the history of the creation of the world, and it goes on and on from there, it’s all history! For them to say the historicist method is an error, give me a break. You know, God did not give us the book of speculations, it’s a book of history. It begins with history, and it ends with history. God gives us history in advance, and then in the very same book we have recorded that the history, the prophecy that he gave us in the early books of the Bible was fulfilled and recorded for us in the later books of the Bible. Okay, see how that works because the Bible was written over a period of history, from Genesis through to the Revelation. 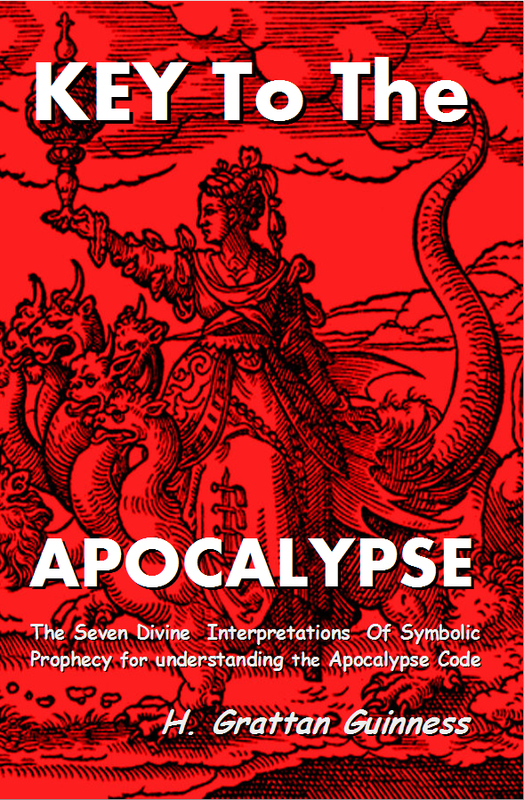 So we have a continuous revelation from God in history itself and in that history we begin in Genesis with the prophecy of the seed of the woman, and we see that at the time that the gospel was given on the ground by Christ, we see that very first prophecy being fulfilled and verified in history; and with many other prophecies not to mention the Daniel 70 weeks prophecy. So how do we know that the actual 70th week followed the 69th? Well first, the plain reading of the text demands it. You know, who am I to add something to God’s Word, and say well there must be a gap in here because I don’t believe it was fulfilled. I’m going to help God out with a gap! I have a little chore for all the Futurists who don’t believe the Daniels 70th week was fulfilled immediately after the 69th, that the six things that the scripture says would happen actually did happen, so that we can put that in the category of already fulfilled prophecy. These six things have to be accomplished in the 70 weeks. The seventy weeks are determined upon thy people upon the holy city, and then it lists these things that are going to be done in these seventy weeks. So we should expect these things to be done in 70 weeks if we believe in the prophecy. Are we all in agreement that those things actually must be done in the 490 years? These are the only things listed in the prophecy that absolutely must be done in the 490 years. They have to be done otherwise is 70 weeks or 70 weeks of years are not fulfilled. Did all of these things happen? Well I say they did! So I have a little exercise for the Futurists out there. I want all of them to pretend that all of those things did happen, and now look for their fulfillment in the scripture, because we have scripture following the contiguous 70 weeks. Here’s another key for you: if something is fulfilled in the scripture, before the Canon of Scripture was closed, its fulfillment will usually be recorded in the scripture itself. Do you believe that? If a prophecy was to be fulfilled in history before the Canon of Scripture was closed, then it will be recorded in the following scripture, does that make sense? The 70 weeks prophecy was fulfilled before the canon of scripture was closed, so we should find evidence in the Bible that it actually happened. All of the Old Testament prophecies of the Messiah that were given beforehand are fulfilled in the canon of scripture, and specifically recorded in the New Testament. Thus we see that the “thy people” of Daniel 9:24 included the very ones who were responsible for the death of their Messiah. The National transgression is complete. So He did make an end of sin. Is there any doubt that He ushered in everlasting righteousness? Jesus was the Great Prophet of whom Moses and the Prophets foretold, as the messenger of the covenant (Mal 3:1) in the seventieth week—that last remaining week of the prophecy. It was during this week that Christ did confirm His covenant with many according to Matt. 26:26-28. On this solemn occasion Christ instituted the most sacred of Christian ordinances, the Lord’s Supper, saying, This is My blood of THE NEW TESTAMENT (literally covenant), which is shed for MANY for the remission of sins. Conclusive Proof Links Christ with the Covenant. The death of Christ very definitely instituted the New and Everlasting Covenant, and Christ emphatically confirmed that covenant with many during the three and a half years of His ministry on earth and in the presence of His disciples during the final three years exclusively to Israel, in the same way He continues to confirm it in us now as the Church. Even the words of Daniel are almost identical with those of Matthew — He shall confirm the covenant with many — this is My blood of the New Testament which is shed for many. Is there an honest futurist who will admit that they understand how it can be believed, or that it is possible for one to assume the prophecy has been completely fulfilled by the preponderance of Scriptural and Historical evidence? That the church, up until about 200 years ago thought they had good reason for believing it? And there you have it completely fulfilled. Now simply because the Futurists do not want the 70 weeks fulfilled, they need a gap in there, and they have taken it upon themselves to impute such a gap – to add something into this prophecy that is not there. They should be very afraid of what they are doing: Haven’t they read the end in the book, the warnings about adding to or subtracting from the scripture? If they would open their eyes they could see the complete fulfillment in history, of the entire 70 weeks prophecy. But the enemy has blinded them, and who is the enemy? Well as the scripture says, and the dragon gives them their power, the enemy is Satan, and who does he give power to? The Antichrist and the Beast; and his great apostasy. That’s who he gives power to. What is the net effect of our antagonist doing a series on the Error of Historicism? I’m going to tell you what the net effect is – the net effect is the exoneration of the Roman Catholic Church from being the great apostasy that was foretold by Paul. Secondly it is the vindication of the Papacy from being the seat of the very Antichrist, also foretold by the same scripture. There is no other effect than those two things that can be accomplished by this man’s proclamation that the very method of interpretation demonstrated in the scripture itself is an error. These are the blind leading the blind, they close their eyes to their very own dependence on the very method that they are tearing down, the historic method of interpretation, the only method that is clearly demonstrated in the scripture time and time and time again. It is the very method that they seek to destroy with only two results. Now this man believes he has discovered something in the scripture. He claims that he’s not a pre-tribulation rapturist, much like I did many years ago. I discovered about 20 years ago, when I actually was a futurist, because God called me to get on the air and go through the Bible, and I started doing that about 1996. And several years into that when I decided to teach on the Revelation, and I have to convince people that what I believe is true. So I need to teach futurism, while I didn’t think of it as futurism then, I just believed it was true prophecy. I thought, now I have to really dig in to God’s Word so that I can show people in God’s Word what I believe. But I simply could not find a pre-tribulation rapture, I could only find two resurrections: one at the beginning of the millennial reign of Christ, blessed is he who has part in the first resurrection, and the other at the end. I could not find a third resurrection, because that’s what a pre-tribulation rapture would be, rapture being equated with resurrection. I couldn’t find the word rapture in the Bible, but I could find the word resurrection. The pre-trib and the post-trib raptures, because both of them had to happen according to Futurism, and I could not find them, so I could not teach it! It just simply was not there, so I gave up the pre-tribulation rapture and I just concluded, well it has to be post tribulation. But then about 2005 I decided I need to have a complete understanding of this, so I started to dig deep, and I’ve been digging deep for quite a number of years into the prophecy, and it took me years before I decided that I understood enough that I could start sharing with you. So God has given me this message, and the message is not a popular message, because it takes people’s comfort away, an escape from what they have been convinced will be the most terrible time ever in the history of the world. They’ll go through the Bible and read the history from the beginning to the time Jesus came. God didn’t skip anything, he put all of that history in there and then about 95 AD the Canon of Scripture is closed. The New Testament is shut, it’s closed up, there are no new books being added. So all of the history until the consummation must be included. Would our God be so inconsistent? The God who never changes, that he would leave out the entire 2,000 years of the Christian witness, of church history? Well I’m here to tell you he did not leave it out, that the entire history of the church was given. Yes and it is obscure, and yes, it’s not clearly seen until it’s fulfilled. It’s just like the Jews, they could not guess the seed of the woman prophecy, and you know maybe the High Priest, Jesus told Adam and Eve right there, and they understood enough. But how long before it would be forgotten, or how few would clearly understand as it was passed down by word of mouth? How much was lost? So much so that the greatest scholars of Jesus day, the first century Hebrews did not understand it at all. They rejected the very Messiah that was foretold over and over and over, from the seed of the woman to Daniels prophecy. They totally missed it, but there were a few who were looking for the Messiah, and there were even complimentary false messiahs who showed up and thought I’m going to be the guy! In the same way you have all these false prophets out there today saying, the rapture is tomorrow, oops, rapture next week, rapture rapture rapture. But they’re all false prophets! Stick to the true method of interpretation demonstrated clearly in God’s very own word. We’ll talk more about this following. Previous PostProphecy Reality News LiveNext PostPart Three – In Defense of the Historical Method of Interpretation.